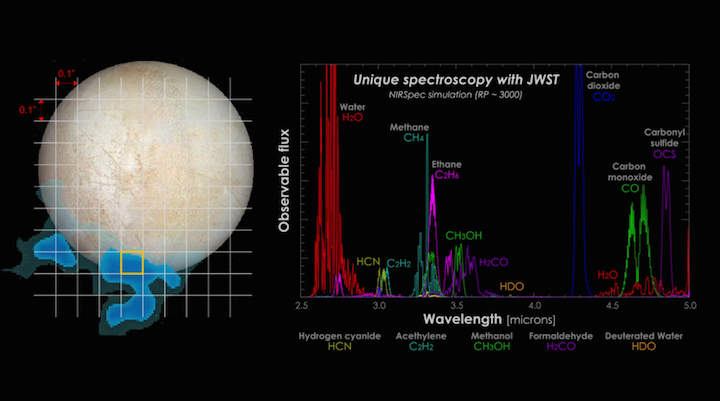 NASA’s James Webb Space Telescope will use its infrared capabilities to study the “ocean worlds” of Jupiter’s moon Europa and Saturn’s moon Enceladus, adding to observations previously made by NASA’s Galileo and Cassini orbiters. The Webb telescope’s observations could also help guide future missions to the icy moons. 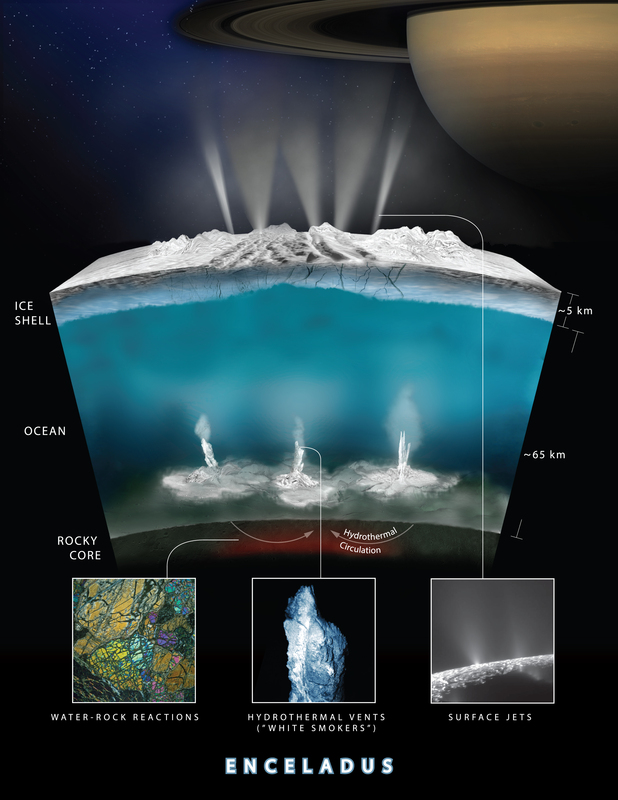 Possible spectroscopy results from one of Europa’s water plumes. This is an example of the data the Webb telescope could return. The James Webb Space Telescope is NASA’s next great multi-purpose observatory and will be the world’s most powerful space telescope ever built, serving thousands of astronomers worldwide. The 21-foot (6.5-meter) diameter infrared-optimized telescope is designed to study an extremely wide range of astrophysical phenomena: the first stars and galaxies that formed; the atmospheres of nearby planets outside our solar system, known as exoplanets; and objects within our own solar system. Webb is an international project led by NASA with its partners ESA and the Canadian Space Agency. What appears to be a unique selfie opportunity was actually a critical photo for the cryogenic testing of NASA’s James Webb Space Telescope in Chamber A at NASA’s Johnson Space Center in Houston. The photo was used to verify the line of sight (the path light will travel) for the testing configuration. Ball Aerospace optical engineer Larkin Carey is reflected in the James Webb Space Telescope’s secondary mirror, as he photographs the line of sight for hardware used during an important test of the telescope’s optics. During Webb’s extensive cryogenic testing, engineers checked the alignment of all the telescope optics and demonstrated the individual primary mirror segments can be properly aligned to each other and to the rest of the system. This all occurred in test conditions that simulated the space environment where Webb will operate, and where it will collect data of never-before-observed portions of the universe. Verifying the optics as a system is a very important step that will ensure the telescope will work correctly in space. The actual test of the optics involved a piece of support equipment called the ASPA, a nested acronym that means “AOS Source Plate Assembly.” The ASPA is a piece of hardware that sits atop Webb’s Aft Optics Subsystem (AOS), which is recognizable as a black “nose cone” that protrudes from the center of Webb’s primary mirror. The AOS contains the telescope’s tertiary and fine-steering mirrors. The ASPA is ground test hardware, and it will be removed from the telescope before it is launched into space. Light from objects in space is captured and reflected by the primary mirror of a telescope like Webb. The slightly curved (concave parabolic) primary mirror reflects a more focused beam of light out to the round secondary mirror. The secondary mirror is curved outward (convex hyperbolic), and it reflects an even more focused beam of light down through the center of the primary mirror. In the case of Webb, the Aft Optics Subsystem (AOS) is at the primary mirror’s center. It contains the tertiary and fine-steering mirrors, which further focus and direct the light to the science instruments. The tertiary mirror also serves to minimize optical aberrations common in reflecting telescopes. During testing, the ASPA fed laser light of various infrared wavelengths into and out of the telescope, thus acting like a source of artificial stars. In the first part of the optical test, called the “half-pass” test, the ASPA fed laser light straight into the AOS, where it was directed by the tertiary and fine-steering mirrors to Webb’s science instruments, which sit in a compartment directly behind the giant primary mirror. This test let engineers make measurements of the optics inside the AOS, and how the optics interacted with the science instruments. Critically, the test verified the tertiary mirror, which is immovable, was correctly aligned to the instruments. In another part of the test, called the “pass-and-a-half” test, light traveled in a reverse path through the telescope optics. The light was again fed into the system from the ASPA, but upwards, to the secondary mirror. The secondary mirror then reflected the light down to the primary mirror, which sent it back up to the top of Chamber A. Mirrors at the top of the chamber sent the light back down again, where it followed its normal path through the telescope to the instruments. This verified not only the alignment of the primary mirror itself but also the alignment of the whole telescope — the primary mirror, secondary mirror, and the tertiary and fine-steering mirrors inside the AOS. Taken together, the half-pass and pass-and-a-half tests demonstrated all the telescope optics are properly aligned and that they can be aligned again after being deployed in space. The photo, snapped by Ball Aerospace optical engineer Larkin Carey after the final fiber optic connections between ASPA and the laser source outside the chamber were made, verified the line of sight for the pass-and-a-half part of the test. The image was compared with one collected once the telescope was cold inside the chamber, to ensure any observed obscurations were due to the ASPA hardware and would not be present during science data collection on orbit. In the photo, Carey is harnessed to a “diving board” over the primary mirror. All tools (including the camera) were tethered, and all safety protocol for working over the mirror were closely followed. Carey faced upwards and took the photo of the secondary mirror to verify the ASPA line of sight. The secondary mirror is reflecting him as well as the AOS, the ASPA, and the primary mirror below. After cryogenic testing at Johnson is complete, Webb’s combined science instruments and optics journey to Northrop Grumman in Redondo Beach, California, where they will be integrated with the spacecraft element, which is the combined sunshield and spacecraft bus. 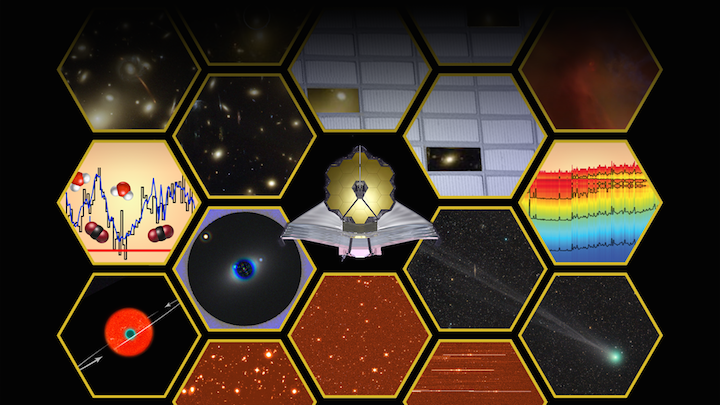 Together, the pieces form the complete James Webb Space Telescope observatory. Once fully integrated, the entire observatory will undergo more tests during what is called "observatory-level testing." This testing is the last exposure to a simulated launch environment before flight and deployment testing on the whole observatory. 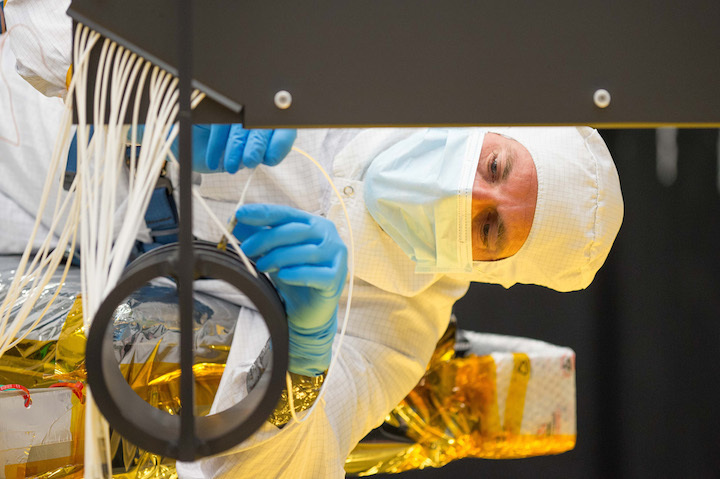 Ball Aerospace optical engineer Larkin Carey is shown connecting fiber optics to the AOS Source Plate Assembly (ASPA) above the James Webb Space Telescope’s primary mirror, while tethered to a “diving board.” All tools were also tethered, and all safety protocol for working over the mirror were closely followed. Close-up of Ball Aerospace optical engineer Larkin Carey connecting fiber optics to the AOS Source Plate Assembly (ASPA) above the James Webb Space Telescope’s primary mirror, while tethered to a “diving board.” All tools were also tethered, and all safety protocol for working over the mirror were closely followed. About 1 million miles away from the nearest eye surgeon, NASA’s James Webb Space Telescope will be able to perfect its own vision while in orbit. Though the Webb telescope will focus on stars and galaxies approximately 13.5 billion light-years away, its sight goes through a similar process as you would if you underwent laser vision correction surgery to be able to focus on an object 10 feet across the room. In orbit at Earth’s second Lagrange point (L2), far from the help of a terrestrial doctor, Webb will use its near-infrared camera (NIRCam) instrument to help align its primary mirror segments about 40 days after launch, once they have unfolded from their unaligned stowed position and cooled to their operating temperatures. Laser vision correction surgery reshapes the cornea of the eye to remove imperfections that cause vision problems like nearsightedness. The cornea is the surface of the eye; it helps focus rays of light on the retina at the back of the eye, and though it appears to be uniform and smooth, it can be misshapen and pockmarked with dents, dimples, and other imperfections that can affect a person’s sight. The relative positioning of Webb’s primary mirror segments after launch will be the equivalent of these corneal imperfections, and engineers on Earth will need to make corrections to the mirrors’ positions to bring them into alignment, ensuring they will produce sharp, focused images. Artist rending showing light reflecting off of the primary and secondary mirrors of NASA’s James Webb Space Telescope, after it has deployed in space. These corrections are made through a process called wavefront sensing and control, which aligns the mirrors to within tens of nanometers. During this process, a wavefront sensor (NIRCam in this case) measures any imperfections in the alignment of the mirror segments that prevent them from acting like a single, 6.5-meter (21.3-foot) mirror. An eye surgeon performing wavefront-guided laser vision correction surgery (a process that was improved by technology developed to shape Webb’s mirrors) similarly measures and three-dimensionally maps any inconsistencies in the cornea. The system feeds this data to a laser, the surgeon customizes the procedure for the individual, and the laser then reshapes and resurfaces the cornea according to that procedure. Engineers on Earth will not use a laser to melt and reshape Webb’s mirrors (feel free to give a sigh of relief); instead, they will use NIRCam to take images to determine how much they need to adjust each of the telescope’s 18 primary mirror segments. They can adjust the mirror segments through extremely minute movements of each segment’s seven actuators (tiny mechanical motors) — in steps of about 1/10,000th the diameter of a human hair. The wavefront sensing and control process is broken into two parts — coarse phasing and fine phasing. During coarse phasing, engineers point the telescope toward a bright star and use NIRCam to find any large offsets between the mirror segments (though “large” is relative, and in this case it means mere millimeters). NIRCam has a special filter wheel that can select, or filter, specific optical elements that are used during the coarse phasing process. While Webb looks at the bright star, grisms in the filter wheel will spread the white light of the star out on a detector. Grisms, also called grating prisms, are used to separate light of different wavelengths. To an observer, these different wavelengths appear as parallel line segments on a detector. During fine phasing, engineers will again focus the telescope on a bright star. This time, they will use NIRCam to take 18 out-of-focus images of that star — one from each mirror segment. The engineers then use computer algorithms to determine the overall shape of the primary mirror from those individual images, and to determine how they must move the mirrors to align them. These algorithms were previously tested and verified on a 1/6th scale model of Webb’s optics, and the real telescope experienced this process inside the cryogenic, airless environment of Chamber A at NASA’s Johnson Space Center in Houston. Engineers will go through multiple fine-phasing sessions until those 18 separate, out-of-focus images become a single, clear image. The entire alignment process is expected to take several months, and once Webb begins making observations, its mirrors will need to be checked every few days to ensure they are still aligned — just as someone who underwent laser vision correction surgery will schedule regular eye doctor visits to make sure their vision is not degrading. For the last few years, NASA had been championing the James Webb Space Telescope as a success story. Threatened with cancellation several years ago because of delays and cost overruns, NASA has emphasized on repeated occasions that the “replan” after that near-death experience was working well. The program was on budget, the agency said, making steady progress towards a launch on an Ariane 5 in the fall of 2018. Until a month ago, that is. In a September 28 statement, NASA announced that the launch of the flagship space telescope would be delayed by half a year or more. The launch, the agency said, was now scheduled for between March and June of 2019. “We have budget reserve at headquarters, so what we can use that money to do is essentially buy more time, and that’s what we’ve done,” Smith said. 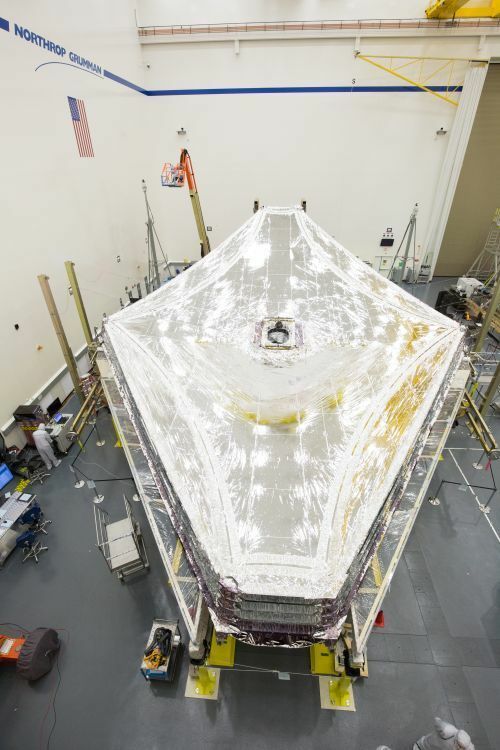 NASA cited in particular issues with the spacecraft bus and its sunshield, designed to keep the telescope and its instruments at the cryogenic temperatures required for their infrared observations. Smith and others faced questions at recent hearings by committees that advise NASA and the National Academies’ Space Studies Board on astrophysics issues. Among them was confusion by some astronomers how JWST, which previously had three and a half months of schedule margin, could slip its schedule by six months without affecting other programs, as NASA claimed. Smith explained at a meeting of the Astrophysics Advisory Committee October 18 that the delay was funded by program reserves held at the headquarters level, separate from the project’s own reserves. “This delay is entirely funded by money in headquarters reserve,” he said. He declined to disclose the size of that reserve. “We have budget reserve at headquarters, so what we can use that money to do is essentially buy more time, and that’s what we’ve done,” he said. That reserve, he added, would be largely expended on this delay. In recent months, there was another issue that threatened to delay the launch. ESA’s BepiColombo mission to Mercury was, after its own series of delays, being prepared for a launch on an Ariane 5 at the same time as JWST: October 2018. Both missions couldn’t launch in the same month, and in fact, due to payload processing requirements, one would have to be prepared and launched before the other could begin processing at the French Guiana launch site. If BepiColombo won priority over JWST, it meant delaying JWST until early 2019 at the earliest. 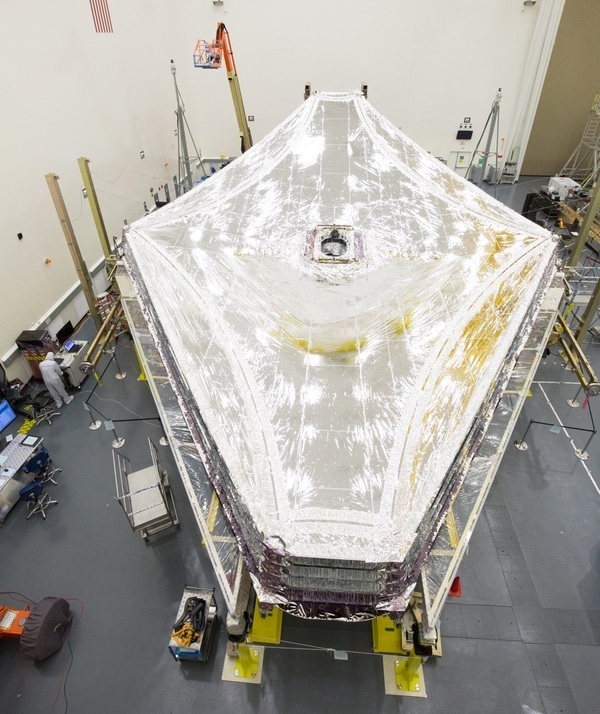 Smith said that there’s no specific launch readiness date yet for JWST beyond the March-June window, in part as NASA and prime contractor Northrop Grumman work on the sunshade and spacecraft bus issues, including a separate problem with thruster valves that need to be replaced. At an October 24 meeting of the Space Studies Board’s Committee on Astronomy and Astrophysics, Smith gave a similar overview of the status of JWST, but faced sharper criticism from one committee member, Thomas Young, a former aerospace executive and NASA center director known for often blunt assessments. Smith said schedule estimates for activities in this phase of assembly and testing of JWST “were found to be pretty optimistic.” He suggested there were issues at Northrop Grumman. “The person who was the integration and test lead at Northrop has new work now,” he said. Young persisted in his questioning, arguing that NASA should have had more oversight into this to catch the delays sooner. Smith agreed. “We should have been more conservative from the start on this schedule,” he said. 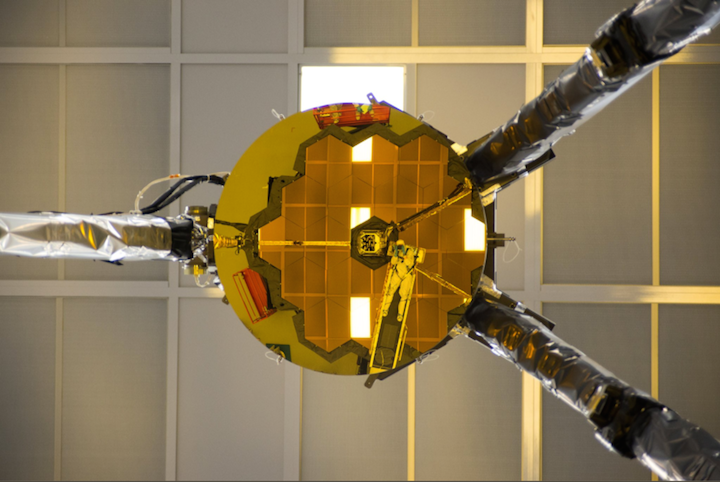 Long before JWST’s latest problems, NASA was already working to apply the lessons learned from it on its next large astrophysics mission, the Wide Field Infrared Survey Telescope, or WFIRST. 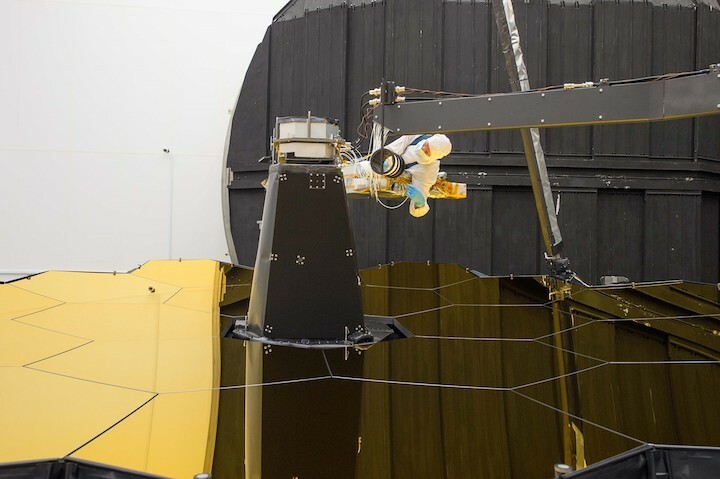 While WFIRST won’t be as large as JWST—its primary mirror, one of two donated to NASA by the National Reconnaissance Office five years ago, is 2.4 meters across—it will be NASA’s largest astrophysics mission since JWST with a budget in the billions of dollars. After a National Academies committee, reviewing progress on the implementation of the latest astrophysics decadal survey, warned last year that budget growth in WFIRST could threaten NASA’s overall balance of programs, the agency established an independent review team for the mission before allowing it to pass a milestone known as Key Decision Point B. “The bottom line is that the current scope and complexity don’t fit with the anticipated available funds,” said Michelson. That report by the WFIRST Independent External Technical/Management/Cost Review (WIETR), delivered to NASA earlier this month, has yet to be released by the agency, but was critical enough that it warranted changes to the program. In an October 19 letter, Zurbuchen directed NASA’s Goddard Space Flight Center, where WFIRST is based, to redesign elements of the mission to lower its cost. Those cuts would come from unspecified “reductions” in a wide-field camera that is one of the mission’s primary instruments, as well as a separate coronagraph instrument that would also be treated as a “technology demonstration” because of the risks posed by its advanced technology. Other elements of WFIRST, including its use of the NRO-donated mirror, would be unaffected by the change, for now. However, Zurbuchen warned that if this effort, to be completed by early next year, could not meet the new cost target, “I will direct a follow-on study of a WFIRST mission consistent with the architecture described by the Decadal Survey.” That original architecture called for the use of a much smaller mirror, 1.5 meters across or smaller. NASA has yet to release the report, but the co-chairs of the WIETR panel briefed the Committee on Astronomy and Astrophysics about their study October 25. “The bottom line is that the current scope and complexity don’t fit with the anticipated available funds,” said Peter Michelson, one of the co-chairs. 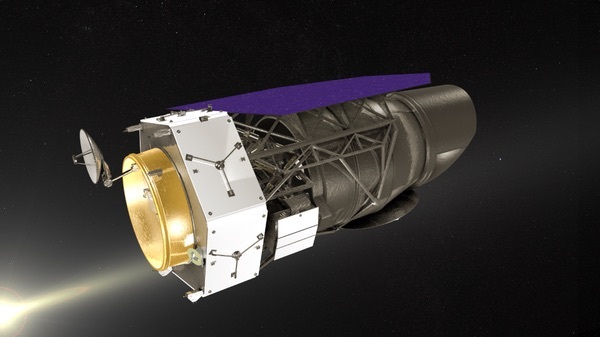 That briefing revealed that the $3.6 billion cost estimate for WFIRST currently is at the 50-percent confidence level; that is, there is only a 50-percent chance that the mission would cost no more than that. Moving to the 70-percent confidence level, typically used for NASA missions once in a later phase of development, increased the cost estimate to more than $3.9 billion. Further complicating the cost estimate is a desire to address the level of risk for the mission. The report noted that NASA considered WFIRST a “Class B” mission in its categorization of risk, making it not nearly as rigorous than Class A missions, to which large missions like WFIRST are typically assigned. The review found that moving WFIRST to the Class A category could cost an additional $300 million or so. “So you’re really recommending, if the requirements stay as they are, you’re saying this should be budgeted at $4.2 billion,” Young said. NASA’s direction to the mission team, however, is to bring the cost down to $3.2 billion at that 50-percent level, while also increasing the risk posture of WFIRST to be “compatible” with a Class A mission. That will require some sacrifices, the agency acknowledges. He also defended a decision not to release the WIETR report immediately. “The WIETR report has a lot of details in it, a lot of options that the panel laid out as possibilities for the team,” he said. “We want to give the project some space to make choices and come forward with a modified design without being second-guessed all the time in public.” Zurbuchen said that the report will be released next February, when the revised spacecraft design is due. Despite the concerns about potential increasing costs, there are signs that NASA is applying the lessons learned from JWST on WFIRST. The concerns about costs and immature technologies—including not just the coronagraph but proposals to make the observatory compatible with a future starshade—are being addressed early in the mission, while still in Phase A, and not later, when problems would be more difficult, expensive, and time-consuming to address. The WIETR co-chairs, at the committee meeting, praised the project for the progress it has made. “There has been a significant investment to date on this mission, on the order of $300 million,” said Figueroa. “It is very mature for where they are in Phase A.” It has, though, a long way to go.